As long as there has been art, there has been bas-relief. The idea of the focus of a piece being raised from its background goes as far back as Ancient Egypt, Greece and the Romans. But now, one modern artist is bringing it back. Goga Tandashvili's bas-relief works blend the vision of modern art with the sculpture and depth of an Egyptian mural. Tandashvili brings his modern bas-relief to life using the natural world as inspiration. The Russian artist begins with drawings on the wall, adding the sculpture on top using gypsum, for a true modern bas-relief finish. Tandashvili uses alternative materials for exterior work, such as granite, marble, bronze or other metals depending on the desired style and the location. The work speaks for itself, intricate details that reflect his ability as an artist as well as a sculptor. He blends artistic lines with the 3D effect of the sculpt, so this modern art seems to grow out of the wall. In particular, his renditions of birds - stunning, with sensational detail in the feather work that draws you in to the whole piece. While the ancient civilisations pioneered it, modern bas-relief by Tandashvili takes the idea and transforms it into something utterly compelling. The 3D effect adds texture and depth, creating a very tactile appeal that really does draw you into the wall. It may not be revolutionary, but the modern bas-relief art that this Russian artist is creating is transforming walls wherever he goes. 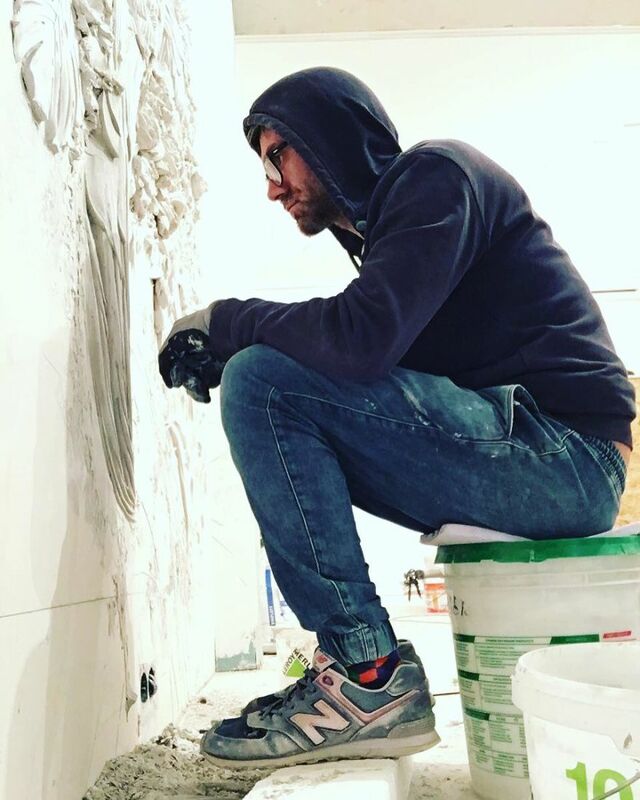 Tandashvili’s art transcends both painting and sculpture, blending both to create stunning designs that can change the whole feel of the space; he creates walls that are unique, these bas-relief art pieces transform a room into an art gallery.